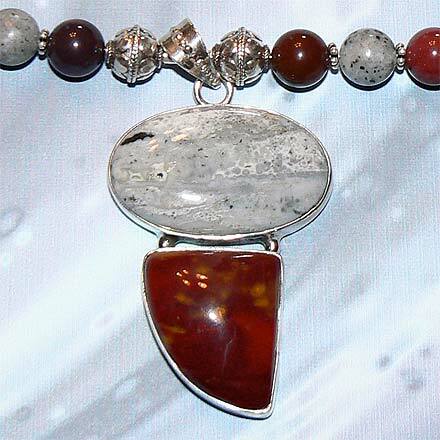 Sterling Silver Riverstone and Mookaite Necklace. See Closeup. 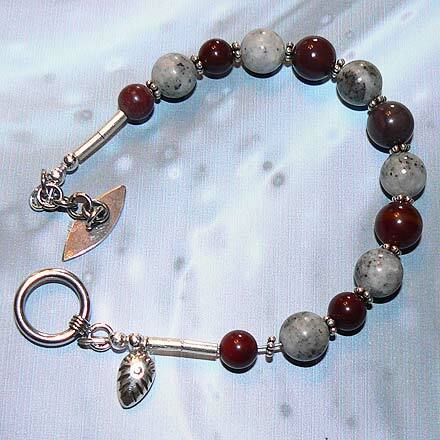 Sterling Silver Riverstone and Mookaite Bracelet. 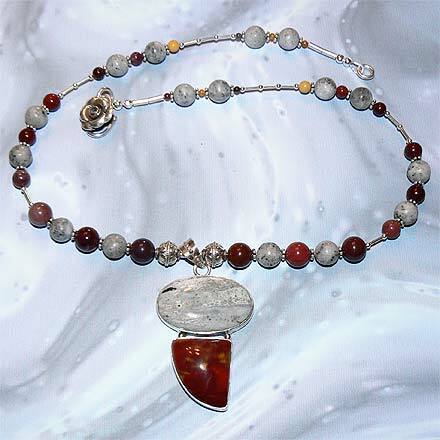 Two different kinds of Jasper: grey Riverstone and reddish Mookaite for a unique color combination. For those who are interested in Astrological significances of stones, Riverstone and Mookaite corresponds with Virgo and Leo.